Day 6 of my hard-core Daniel Fast! Ahhhhhhhh… today has already been much, much easier. And very little of the “easier” has been because of food. I got up early enough to read the Bible for thirty minutes. I knew after yesterday that I would need a lot of Jesus to recover so I planned in some extra God-time this morning. But also, I really planned out the morning so that my kids would have activities. I knew that they needed a break from only playing with me and I needed a break from them only playing with me! 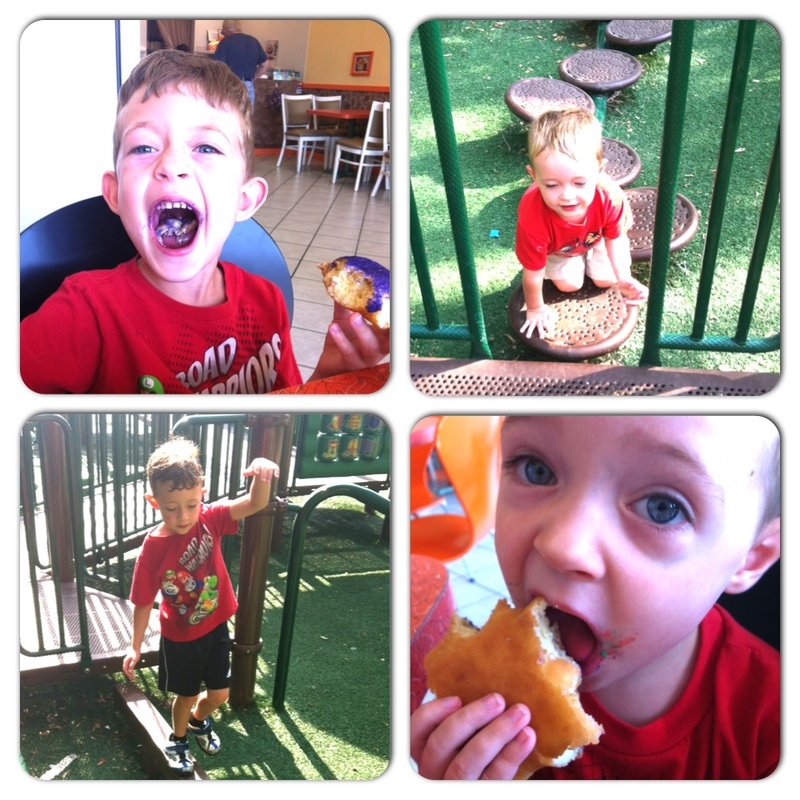 So, off to Happy Donuts we went this morning (I tossed a Fiji apple in my bag and filled myself up a big glass of ice water) and then to a fun time at the park… we have a splash pad and a turf ground park around the corner- my kids love it. Although my toddler is still too young to go off by himself at this park (he’s a bit of a daredevil) cause there a lot of ladders and things that he can fall from, so I have to walk around and be his “spotter”. But even then, I’m not the main form of entertainment… the slides and the crawl parts are. So we all felt refreshed and pleasantly exhausted! I think we all… like each other again this morning! Ha! But also, I’m feeling the blessing of the fast within my body! After five full days, I feel sleek and lean. I don’t feel bloated or swollen or puffy or whatever you want to call it. I just feel… right. I feel empty when I should feel empty and I don’t really ever feel crazy full (and I’m just going to exclude the second day on the fast when I ate like four servings of mashed potatoes for lunch… I didn’t need to eat for like a day)! And I didn’t even think about coffee today. Again, it’s so amazing how I tell myself that I need something, but once I allow myself the opportunity to rely upon God… I suddenly realize what a non-need that thing was! O God, I beg two favors from you; let me have them before I die. First, help me never to tell a lie. Second, give me neither poverty nor riches! Give me just enough to satisfy my needs. For if I grow rich, I may deny you and say, “Who is the Lord ?” And if I am too poor, I may steal and thus insult God’s holy name. This isn’t so much about riches, per se… but it is the same concept. And it’s that God would give me just enough. Just enough food to make me full but not so much that I am scarfing down thinking only of myself and not so little that all I can think about is me and my own hunger. Just enough. And really- a Daniel Fast helps me to get in touch with that concept of “just enough”. Because it seems that having “just enough” food helps me to feel like there is “never enough” of Jesus!